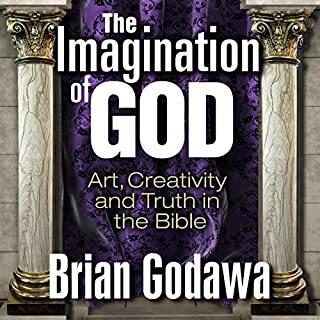 Artist and screenwriter Brian Godawa used to revel in his ability to argue the truth of the gospel, often crushing his opponents in the process. In time, however, he began to realize that winning an argument about the logic of Christianity did not equal persuading people to follow Jesus. What was missing? 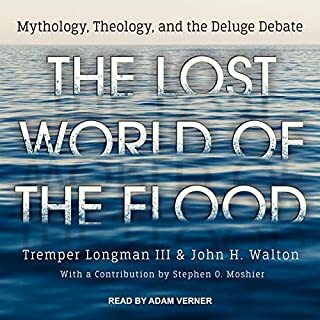 In our modern age the biblical Genesis flood account has been probed and analyzed for answers to scientific, apologetic, and historical questions. It is a text that has called forth flood geology, fueled searches for remnants of the ark on Mount Ararat, and inspired a full-size replica of Noah's ark in a biblical theme park. Some claim that the very veracity of Scripture hinges on a particular reading of the flood narrative. But do we understand what we are reading? Longman and Walton urge us to ask, what might the biblical author have been saying to his ancient audience? It's 220 BC. The ancient Western Empire is crumbling. 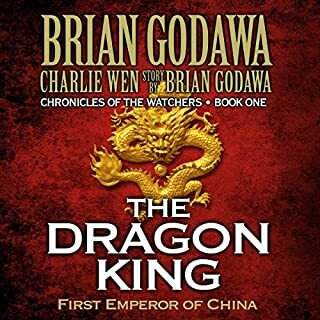 In a desperate bid to save his throne, the Greek Seleucid king over Babylon sends his son, Antiochus, a dishonored warrior, into the mysterious land of the Far East to capture a mythical creature that will give him absolute power: a dragon. 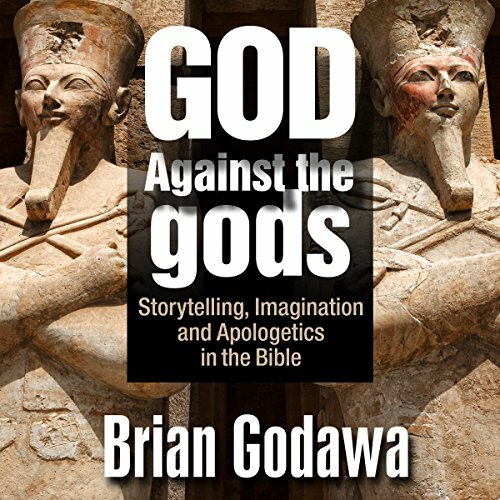 Brian Godawa, Hollywood screenwriter and best-selling novelist, explores the nature of imagination in the Bible and how it relates to apologetics and evangelism. 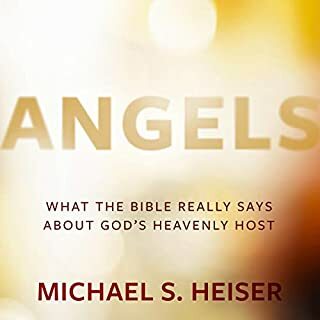 He explains how God subverts pagan religions by appropriating their imagery and creativity and redeeming them within a Biblical worldview. Improve your imagination in glorifying God and defending the faith. You will discover what C.S. Lewis, J. R. R. Tolkien, and Francis Schaeffer understood about Christian apologetics and Biblical evangelism. Demonizing the Pagan Gods - God verbally attacked his opponents, pagans, and their gods, by using sarcasm, mockery and name-calling. Demonization is not wrong if they really are demonic. Old Testament Storytelling Apologetics - Israel shared creative images with their pagan neighbors: The sea dragon of chaos, and the storm god. The Bible invests them with new meaning. 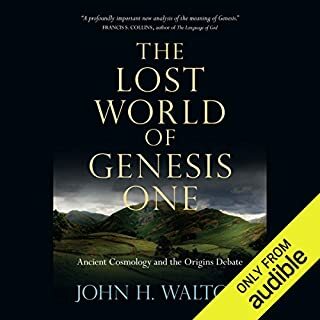 Biblical Creation and Storytelling - Creation stories in the ancient Near East and the Bible both express a primeval battle to create order out of chaos. But how do they differ? The Universe in Ancient Imagination - A comparison and contrast of the Biblical picture of the universe with the ancient pagan one. What’s the difference? New Testament Storytelling Apologetics - Paul’s sermon to the pagans on Mars Hill was subversive storytelling: Retelling society’s narrative through a Gospel lens. Imagination in Prophecy and Apocalypse - How God uses symbolism to both obscure and reveal meaning in prophecy. An Apologetic of Biblical Horror - Learn how God uses the genre of horror in the Bible as a powerful moral tool to communicate spiritual, social and moral truth. Brian Godawa does a great job in suggesting we all take scripture on its own terms from the culture it came from and stop forcing a modernist worldview to skew its interpretation. The scripture is far better and far more meaningful if you understand the cultural context from which the contributors of the overall Canon of scripture came from; what was the worldview and cultural context of the writers that God used from different places over a long period of time, yet still producing an amazing harmony of purpose in what came to be known as The Holy Bible. It's definitely worth reading or listening to. Godawa goes in depth to the mytholgical implications of modern storytelling as well as the use of the genre by the biblical writers. A must read for filmmakers and theologians alike. i have listen to all of the chronicles of the nephilim series and continue to enjoy listening to inspired wisdom of this man of God. Yet another new way to view the world. Though I have purchased so far all Brian's books, the last few I struggled to finish. When we have to dig so deep to discover what the Bible does not really mean, its a bit like salt that's lost its saltiness. Weather he is right or wrong I do not know, but his writings about the apocalypse sound like this book. You really mean to say "creation does not really mean creation"? That brining order to chaos is the real meaning of creation...? I hope I miss understood, but do not expect the excitement and freshness of the Chronicles of the Nephilim. This book requires argument from authority. Godawa's authority, which is quite enormous. But when I read the Bible without the confusion and apparent contradictions of the "ancient near eastern context" at least I can believe my own eyes. 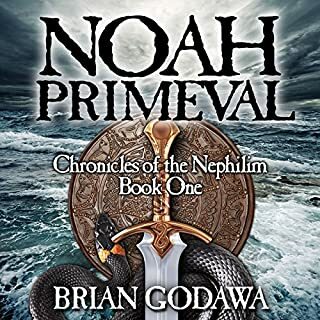 I have nearly all of Brian Godawa‘s books and I must say I have really enjoyed all of his books until this one.